Since disposable plastic bags are now verboten, and everyone should take their own reusable bags to the grocery store now, I thought it would be a good idea to offer a class on making tote bags. I never seem to have enough bags to haul my stuff around town! 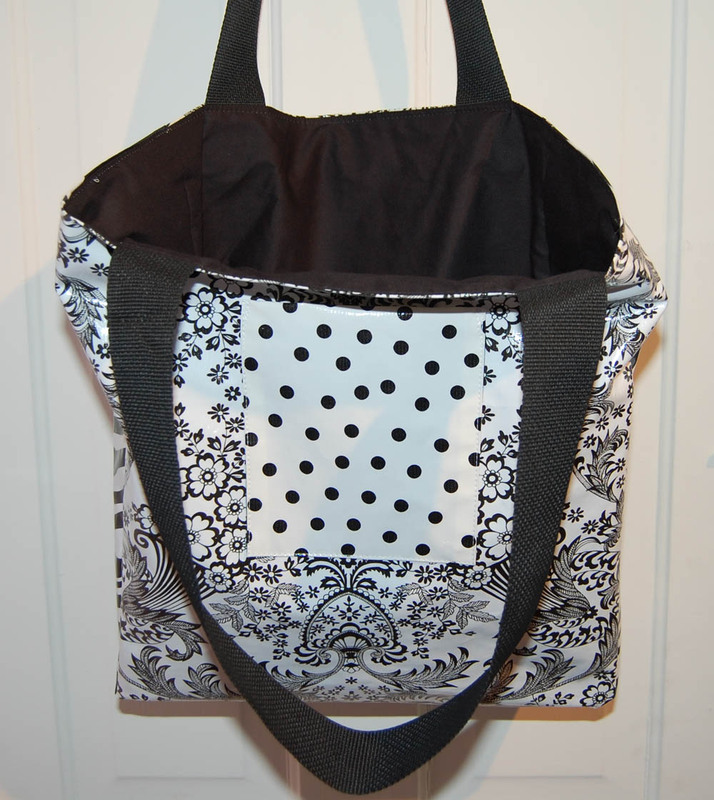 I like to use oilcloth for tote bags. It is shiny because it is treated on one side to be waterproof, and is also washable and very durable. 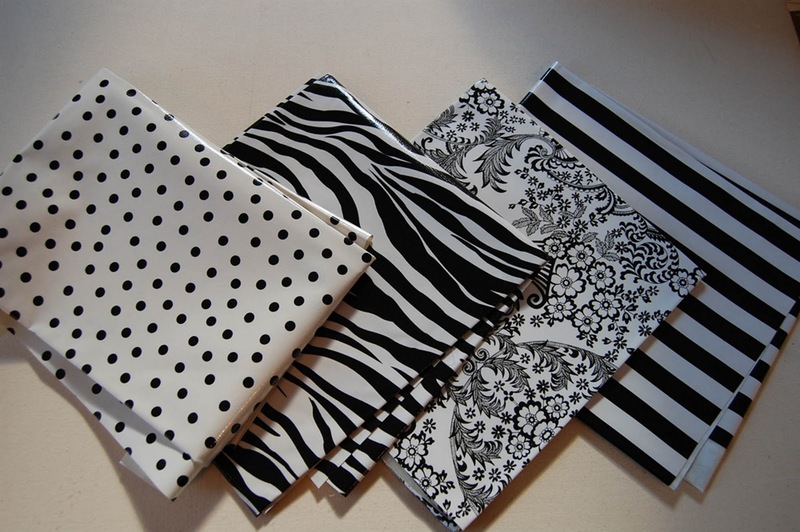 It comes in great colors and patterns too! 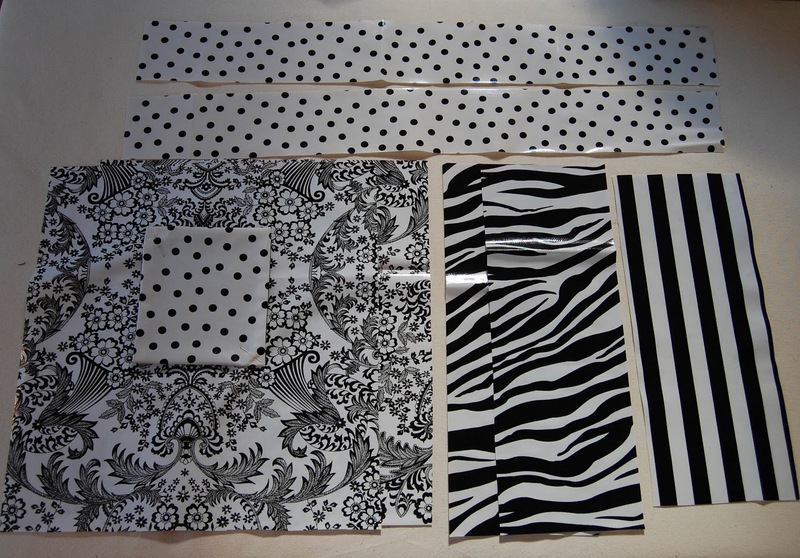 I chose 4 different black and white prints. 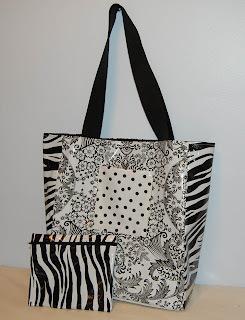 I cut the pieces of the bag from the different prints- front and back, sides, bottom, outside pocket and handles. I later decided that oilcloth handles would be too stiff, so I used a nylon webbing instead. I cut the same pieces out of black broadcloth for lining. The finished tote and coordinating zippered case! 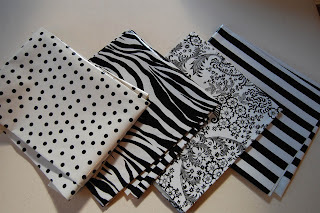 They can be made in any size that would you'd like, and more colors and patterns of oilcloth can be found at http://www.mendels.com/ or http://www.oilclothbytheyard.com/. 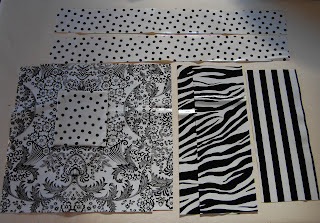 I can supply the black webbing, in widths of 1" and 2". Other colors of 1" can be found at http://www.jkmribbon.com/. I love these! What a good idea.